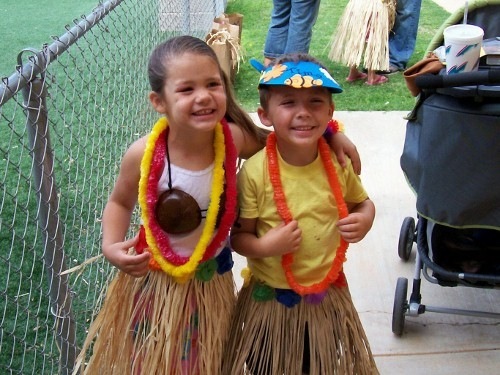 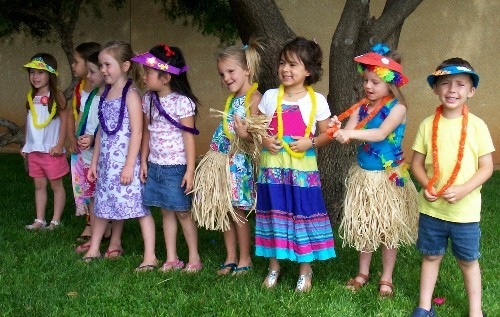 I attended Timothy’s Hawaiian end-of-year party at his school. 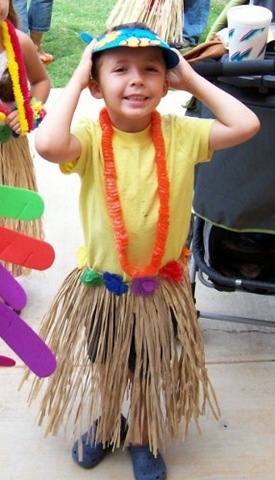 Despite the fact that Timothy was proud to wear his grass skirt (hula) and some “jewel” stickers, it was a lot of fun for me. 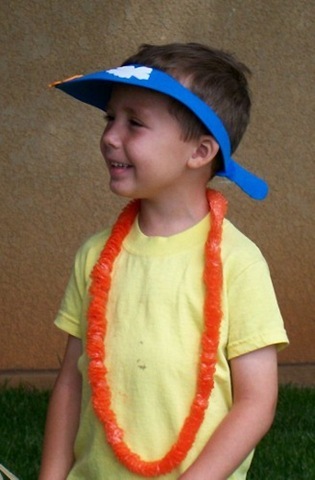 I followed the class around as they went on a scavenger hunt finding each element of their outfit before going back to their classroom for lunch. 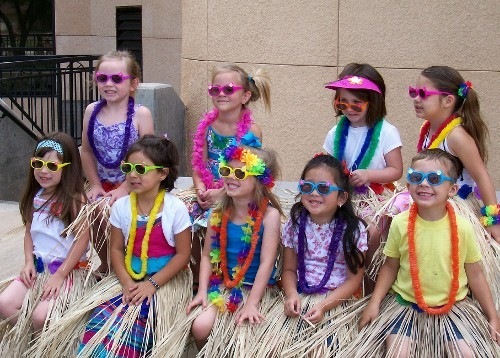 I, then, entertained a few kids by dancing my own version of hula dance and sticking paper umbrellas in my cap. 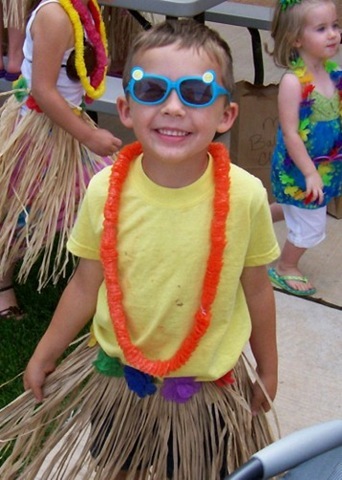 Tomorrow will be Zachary’s party.